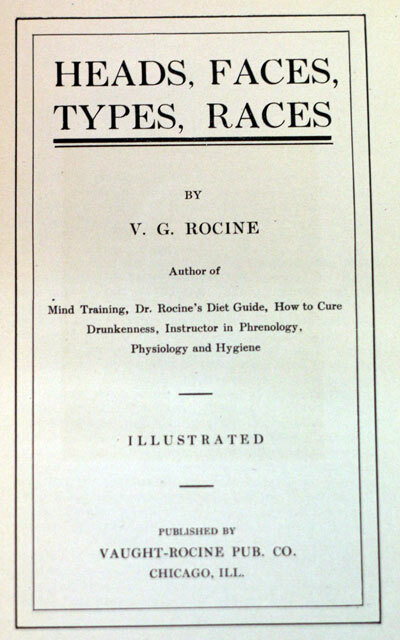 Publisher: Vaught-Rocine Pub, 1910. First edition. There is perhaps no science that can do more good for the people, in the various avocations of life, than phrenology, when it is thoroughly understood. A phrenologist who is well versed in his science, can do good to the public, the individual or the nation, in hundreds of different ways. ings, to cure bashfulness and timidity. It gives us a greater insight into insanity, the cause of insanity, the treatment of the insane. It explains crime, the cause of crime, the eradication of crime, sin and mental defects. It explains heredity and gives us a clear view of race and family culture, or the improvement of the human race, through the laws of transmission, heredity, love and marriage. It takes up dietetics, from temperamental and faculty standpoints, pointing out positively the best diet for each individual, according to his faculty development, states of mind, states of health, age, work, temperament and cell construction, resulting in greater health. It deals with marriage from the standpoints of affinity, leading to perfect offspring, greater spiritual unfoldment and domestic happiness. It takes up talent, trades and professions, enabling us to originate new trades and specialties, according to the development of the individual. This is an age of specialists and inventors. When the talent or genius of a man is discovered and directed, he succeeds. The phrenologist who understands faculty combinations of talent and genius can often create inventors and specialists. Studying a man, according to the teachings of phrenology, we find that one man is fleshy, another is fat, a third one lymphatic, a fourth one slender and nervous, a fifth is wiry, flexible and muscular, a sixth is bony, hard, dry and stiff, a seventh is sponge-like, porous, phlegmatic and predisposed to certain diseases, a lover of a certain diet, adapted for a special kind of work. 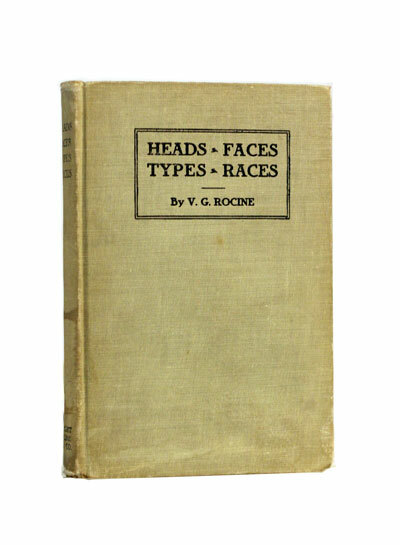 One man has an elongated head, another has a square head, a third has a conic, a fourth has a boat-shaped, a fifth a globe-shaped head, a sixth one has a high, narrow head, able in metaphysics, but a failure in business. Studying people on a larger scale, we have learned that certain people, by reason of their head and face formation, temperament and tissue construction, can be thrown into certain classes, or “types,” as we call them, each type subject to certain diseases, hard to cure, being chronic or constitutional, and each type able to succeed in certain occupations, but not in others. People are racially different. Is not the Indian different from the Frenchman? Does not the German have a different appearance, head, face and temperament than the Bushman ? Is not the American different in body, quality, temperament, head and face formation than the Chinaman? And why? Study and you will know.